Are we in for another TKO upset? Orlando Pirates head into the Telkom Knockout (TKO) final against Baroka FC as favourites – but this competition has produced its fair share of upsets in the past. In fact, the Buccaneers know this well, having lost two of their past three TKO deciders against sides not considered likely to win: Platinum Stars and Ajax Cape Town. Veteran Baroka defender Thabiso Semenya feels a sense of déjà vu going into the decider at the Nelson Mandela Bay Stadium in Port Elizabeth on Saturday. “I know the atmosphere in a dressing room with a bunch of players who are excited to be in a final. You can’t control it. That’s the situation in Baroka right now,” said the 36-year-old. He was part of the now defunct Stars side that shocked Pirates 2-1 in the 2013 final. He had not featured much for Dikwena, even though he scored the solitary goal that eliminated Kaizer Chiefs from the 2013 final. Almost replicating his game history of five years ago, he joined Baroka last month and has played three games in all competitions. Two of those were against Bidvest Wits and Mamelodi Sundowns in the TKO semifinals and quarterfinals, respectively. Semenya could potentially face off against his provincial homeboy Thabiso Kutumela, a former Baroka talismanic striker who joined Pirates two seasons ago. Bucs coach Milutin Sredojevic has been utilising the Mokopane-born Kutumela (25) as one of his surprise attacking options, along with Vincent Pule and Thembinkosi Lorch. The trio are likely to be set on Semenya’s defensive partners in a back four that also has Namibian international Ananias Gebhardt, and youngsters Vusi Sibiya and Bonginkosi Makume. “Last season was about soul healing. We had ups and downs, losing on penalties against SuperSport United in the MTN8 quarterfinals. There are things we are doing well and things we could do better,” said Sredojevic. Semenya cautioned that, although Pirates have the luxury of reshuffling their team willy-nilly, their playing model is “always the same” regardless of who they field on the day. The veteran defender remembered a number of historical games that could inspire his side going into Saturday’s final: Platinum Stars, Bush Bucks and QwaQwa Stars have upstaged the traditional big sides in the final of the lucrative tournament that started as the Datsun Cup in 1982. Under the Coca-Cola banner, AmaZulu’s 3-1 win over Kaizer Chiefs in the 1992 final remains one of the biggest shocks, and so were other upsets by Wits’ victory over Pirates in 1995. Ajax also put Pirates to the sword with a 4-1 hammering in the Rothmans Cup decider in 2000, and the Mother City side repeated the feat with a 2-1 defeat of the Buccaneers in the 2008 TKO final. Bloemfontein Celtic also surprised Mamelodi Sundowns in the 2012 final. Given these upsets, Semenya believes Baroka can become the latest David to topple Goliath in this “Ziwa Mo” final and become the first club to bring a PSL cup to Limpopo. After all, Bakgaga Ba Ga Mphahlele have established themselves as giant slayers when it comes to knockout competitions after they came into prominence as semifinalists in the 2011 Nedbank Cup. 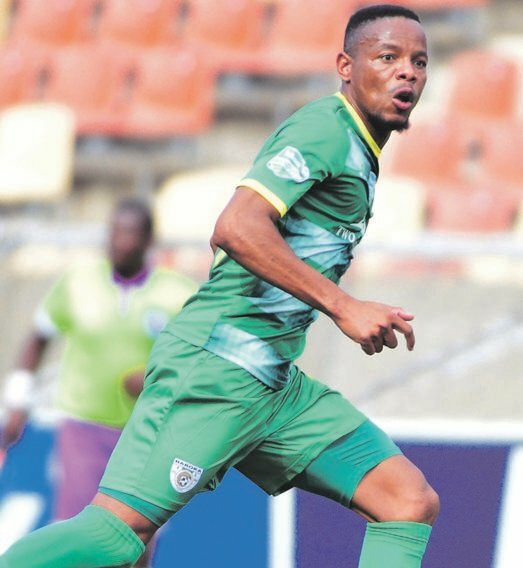 “We have been praying day and night,” Baroka boss Khurishi Mphahlele told City Press before he led the team to request a blessing from Kgoshigadi Phatudi Mphahlele in Ga Mphahlele on Friday. He said that, “cup or no cup”, his players would still be rewarded for their efforts with an equal split of the prize money. “Our policy is clear: it’s 50-50 between the club and the players,” said the businessman. At stake on Saturday is a R4 million purse for the champions, while the runners-up will get R1.5 million. The finalists will also get a R250 000 participation fee that goes to all 16 premier division clubs.